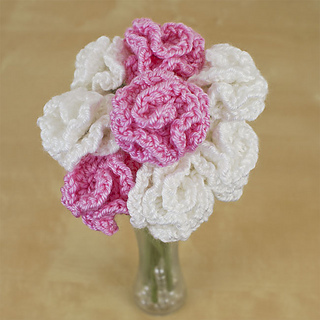 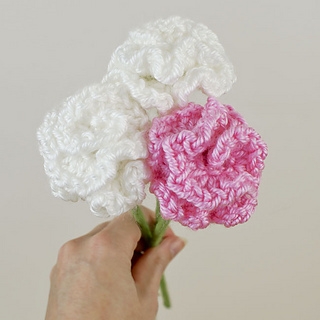 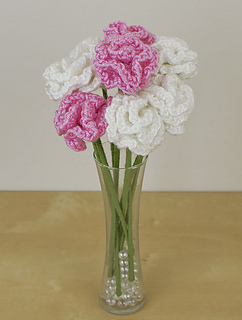 Beautiful, realistic, and so easy, you can crochet a pretty one-piece carnation in minutes – and I bet you won’t be able to stop at one! 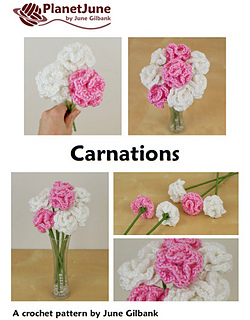 Additional info: You’ll also need a bamboo skewer, pipe cleaner, or floral wire to make the optional stems. 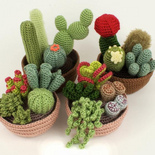 Note: This pattern is Donationware - the pattern is available for free, but if you like it please consider sending me a donation to show your appreciation. 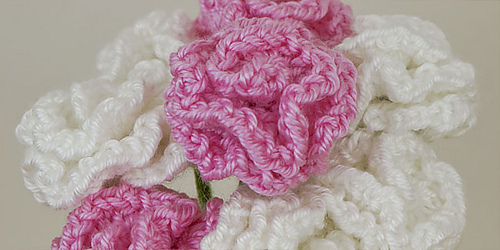 The PDF version, available for any size donation, is formatted for easy viewing and printing, and includes bonuses (additional assembly photos and a special technique for fastening off the yarn neatly at the base of the stem). 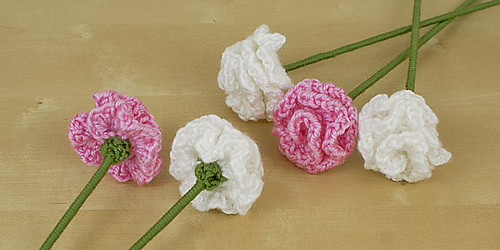 The complete pattern is available to view in full (for no charge) from the linked page.